Enjoy the freedom to tackle projects, collaborate and communicate from anywhere, anytime. 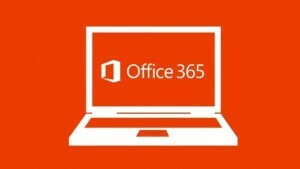 Office 365 delivers cloud versions of Office staples like Word, Excel and PowerPoint so that you can get the job done from any connected device. The platform also offers the latest and most robust enterprise solutions for email, team collaboration, file sharing, conferencing, business insights, enterprise social and more. As a Microsoft Gold Certified Partner, Uncommon has the knowledge and experience required to introduce you to all of the perks of Office 365, including online versions of SharePoint and Lync, as well as advanced 356 offerings like Power BI. Whether you’re considering Office 365 for the first time or simply looking to maximize your existing 365 investment, Uncommon is here to help.